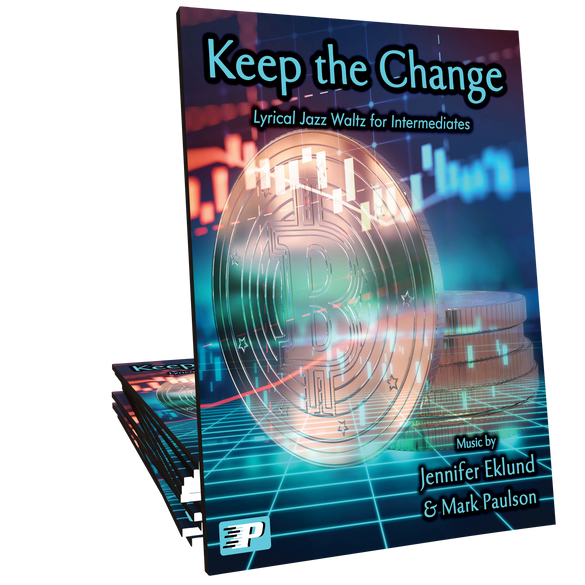 Keep the Change is a lyrical jazz waltz in B minor with a written out improvisation. 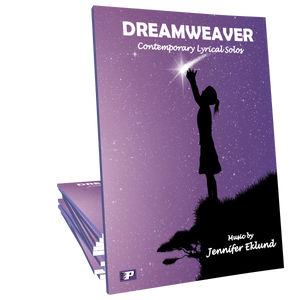 Great as a launching point for intermediates into jazz studies. Beautiful piece, and brings to mind an assortment of catchy tunes without taking from any of them. I can't wait! I enjoyed learning this piece and still enjoy playing it for fun as it does not get boring. It is also a great performance piece as it keeps the audience captivated time and time again. This song is amazing. It starts out in such a beautiful lyrical style. Gorgeous.Then before you know it you are playing in an awesome jazzy style with a fantastic jazz solo. Then after the jazzy feel, it goes back to lyrical in a gorgeous way. This piece is so creative . It's way up there on my list of favorites to play. It's totally fun and different . No way could I possibly tire of this fantastic piece, I'm still ironing the kinks out with the Jazz solo,but it sounds pretty great after much practicing. Love it! Thanks Jennifer and Mark!! WOW!!! Love this piece! Very exciting - love the transition into Jazz! Even though I cannot play jazz yet, still working on it, I can't wait to play this piece in the future! 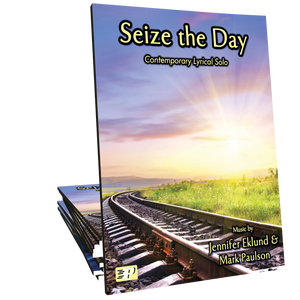 Great writing Jennifer and Mark!